Special elections are interesting because they occur off-cycle by definition and are all about building a unique electorate from scratch. There were two notable special elections yesterday, in Iowa’s third Senate District to fill the vacancy created by the resignation of two-term senator Bill Anderson, and in Alabama to fill the vacancy created by appointment of four-term U.S. Senator Jeff Sessions as U.S. Attorney General. Turnout is almost always lower in special elections and that creates unique opportunities for different results. 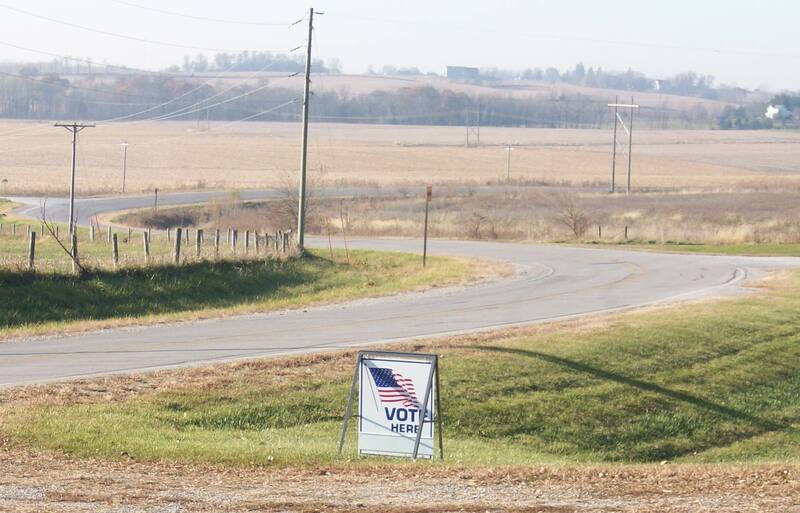 A local example was the March 2013 special election to fill Sally Stutsman’s seat on the Johnson County Board of Supervisors after she was elected to the Iowa House of Representatives. Republican John Etheredge won against Johnson County Democratic Party Chair Terry Dahms in a surprise victory that made him the first Republican elected to the board since 1958. If you didn’t know, Johnson County is the most Democratic county in Iowa. In the third Iowa Senate District, Democrat Todd Wendt faced off against Republican State Representative Jim Carlin. Unofficial results are Carlin won the election 54 percent to 46 percent for Wendt — a solid win. There are plenty of summaries of the race and I like the coverage by the Sioux City Journal’s reporters Brent Hayworth and Mason Dockter here. The vote numbers tell the story of this deeply Republican senate district. During the 2014 general election 22,262 votes were cast in Senate District 3. Anderson ran unopposed and won with 17,176 votes. According to unofficial results, Carlin totaled 3,591 votes last night, and Wendt 2,988, for a total of 6,579 or 30 percent of the votes cast the last time the district was on the ballot. What that means is Wendt made a respectable showing in a district President Donald Trump won by 41 percentage points, defeating Hillary Clinton 68 percent to 27 percent in the 2016 general election. I hesitate to draw many conclusions from this or any special election. Wendt received a lot of help that would not have been possible in a general election, but in the end he didn’t prevail. Had the Democrat won last night, I believe he would have been sanded off in the woodshed of the 2018 general election the way John Etheredge was in Johnson County. My experience with Alabama is limited. In a carload of GIs let loose for the first time in weeks from Officer Candidate School at Fort Benning, Georgia, we headed to Phenix City, Alabama to get tattooed. I’d be sporting ink if the town hadn’t closed down early on a Saturday night for “moral reasons.” When I traveled to Fort Rucker to visit a friend from Germany I noted anti-pope scrawling on roadside telephone booths. I drove past the Auburn and Tuskegee campuses noting the contrasts between them. At Tuskegee students wore uniform-appearing white shirts, looking professional, whereas Auburn students made no impression but seemed to be vague, indistinguishable white protoplasm. I have relatives in Alabama who left the Catholic Faith to join an evangelical sect near Huntsville. We don’t talk any more. Last night’s special election in Alabama had a lot of moving parts and that’s what made it interesting. Democrat Doug Jones won the election with 49.9 percent (671,151) of 1,344,406 votes cast compared to 48.4 percent (650,436) for Republican Roy Moore and 1.7 percent (22,819) for write-in candidates, according to the New York Times. If there were a one-half percent difference between Jones and Moore, Alabama law would trigger an automatic recount. There is a sea of internet ink about the race. I prefer the Washington Post piece by Sean Sullivan, David Weigel and Michael Scherer here. My filter for Fox News is author Stephen King, who tweeted last night, “FOX news is sayi g ‘Doug Jones is already a lame duck.’” FOX News is wrong in the assertion Jones will be ineffective. With the U.S. Senate currently standing at 52-48 Republican to Democratic, Jones will make a difference beginning whenever Majority Leader McConnell decides to seat him. One suspects Jones will take his seat after the vote on the conference bill on tax reform. Higher turnout in a general election will favor the Republican. Don’t expect Alabama Republicans to pick another flawed candidate like Moore in 2020. They may be backward compared to other states, but they are not stupid. Jones was able to hire seasoned political consultant Joe Trippi for the special election because of nationwide focus on the race and the campaign donations it generated. Democrats will invest a lot of money and effort in 2020, but it will be spread across the nation. Higher than expected turnout among black voters contributed to Jones’ win. There is backlash among black voters who found their best candidate in Jones but have adopted a wait and see attitude to determine whether or not he addresses key issues they face. Especially important is the Alabama black voter suppression effort on full display during this election. Jones’ victory is a significant step toward Democratic control of the U.S. Senate after the 2018 election. It also had an electorate set in time, only partly related to general election electorates that consistently produced Republican Alabama senators. Democrats should be heartened by the results of Jones’ win, stay focused on the prize, and study his and Wendt’s electorates to learn how they produced the results they did.